188 global investigators evaluate efficacy, coverage and opportunity for biologics and biosimilars in clinical development. Learn more in our infographic. 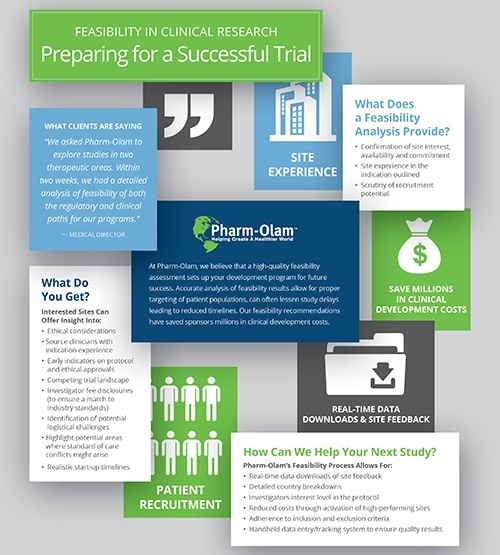 At Pharm-Olam, we believe that a high-quality feasibility assessment sets up your development program for future success. Learn more in our infographic. Favorable conditions have put a spotlight on orphan drug clinical trials. We lay out tips to successfully conduct these trials and bring products to market. 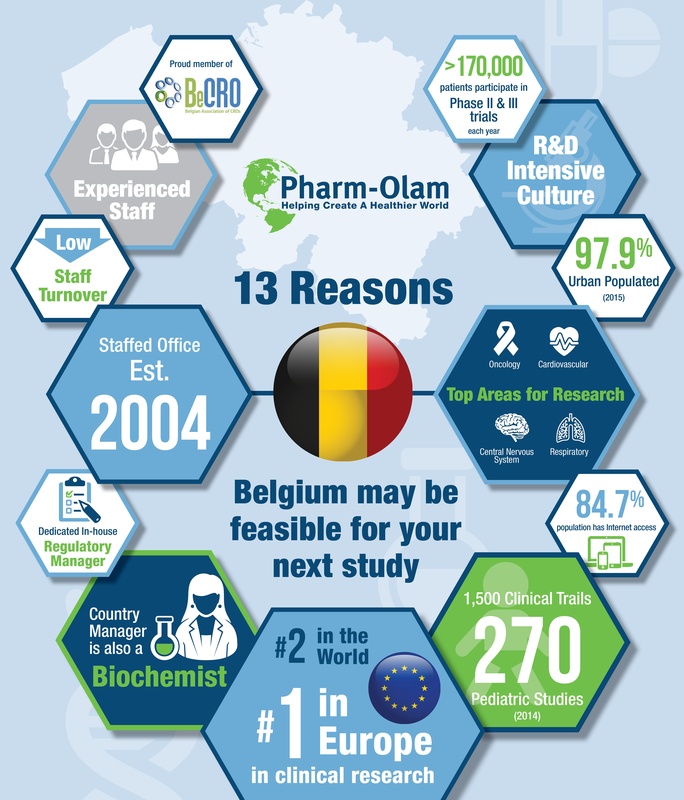 Our research shows that Belgium is the #1 location in Europe for research activity. To learn more about its benefits of this region, view our infographic. Based on the experience of our internal team, we have created a series of 13 study design and operational tips for your use. View them in our graphic. 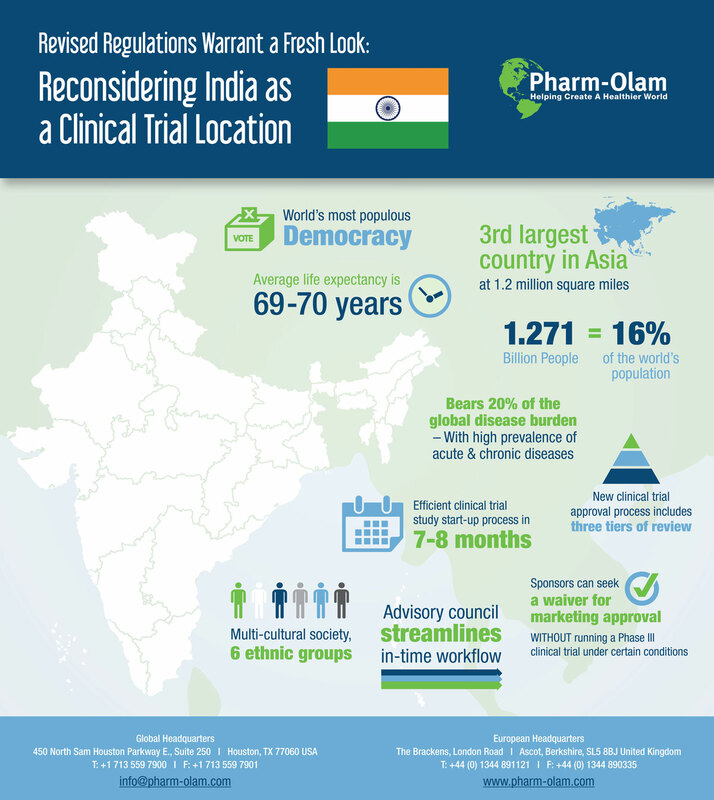 Revised regulations in India warrant a fresh look into the region, as it could now be a viable country to run clinical trials. See why in our whitepaper. Canada boasts a large population and favorable research conditions. 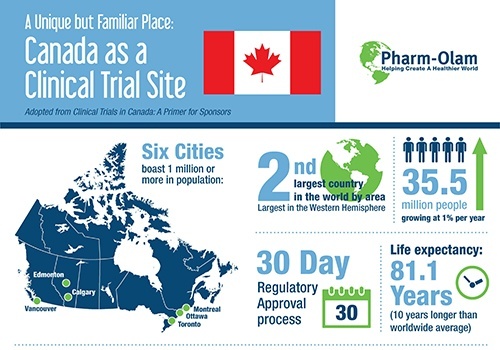 See our infographic to learn what Canada has to offer as a site for clinical research. Horizon 2020 promises to create more breakthroughs, discoveries, and world-firsts. 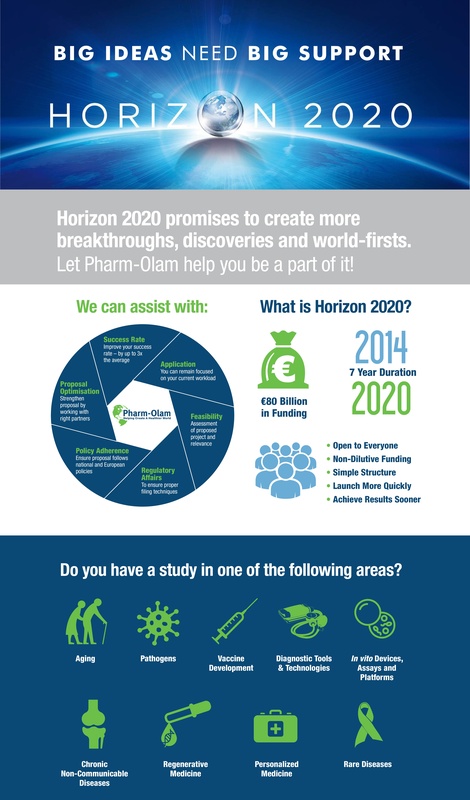 Let Pharm-Olam help you be a part of it! Learn more in our graphic. 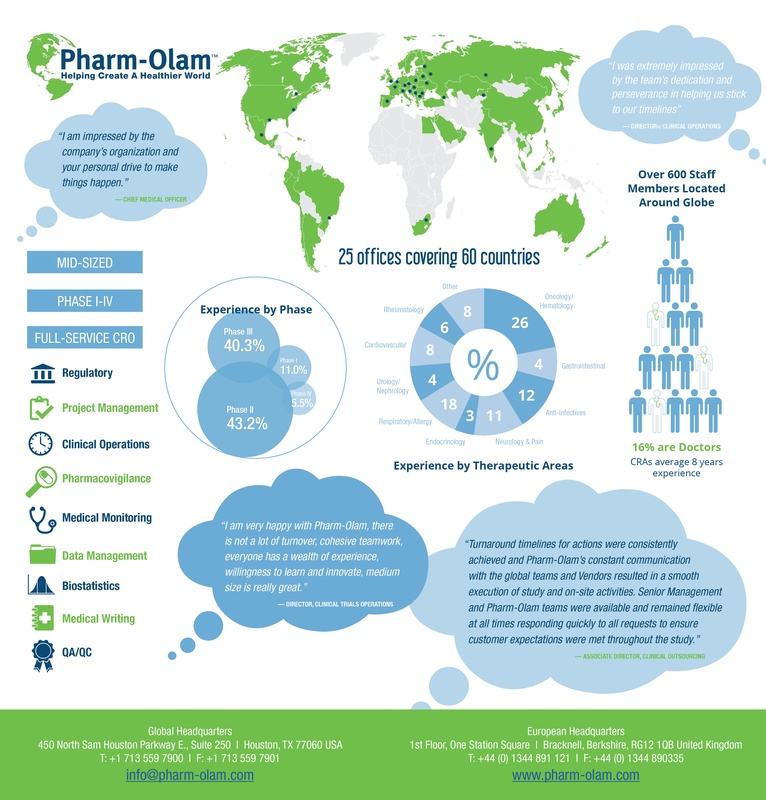 Pharm-Olam boasts over 20 years of experience in 15 therapeutic areas across 40 countries worldwide. Learn more about the leading mid-size global CRO. 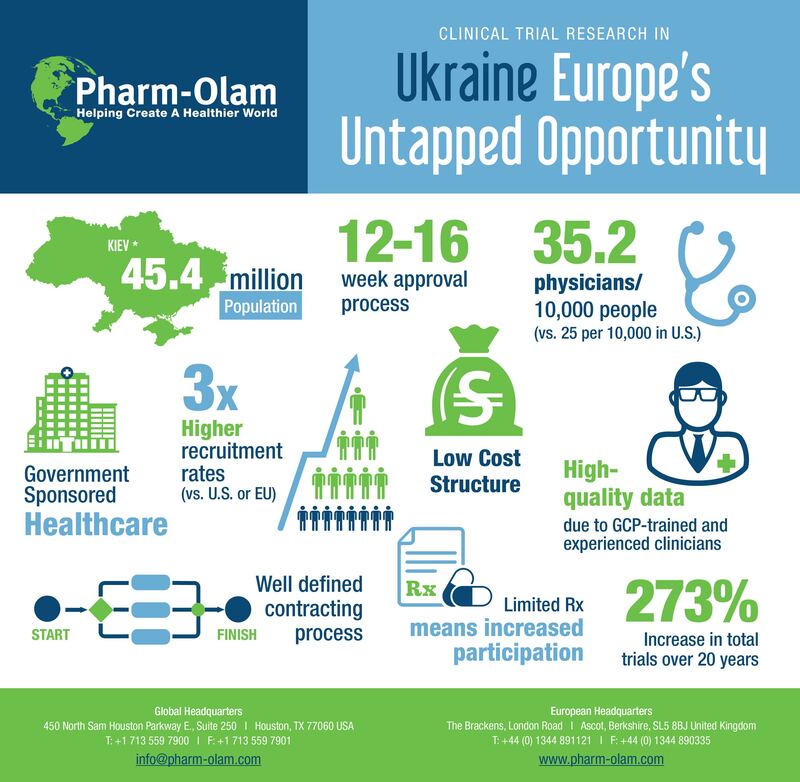 Ukraine is a viable and proven market for clinical research. 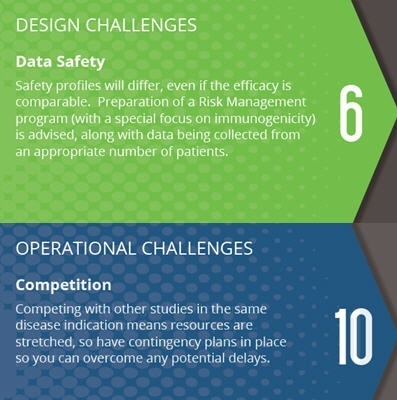 View our infographic to learn more about its advantages as a potential site for your study. 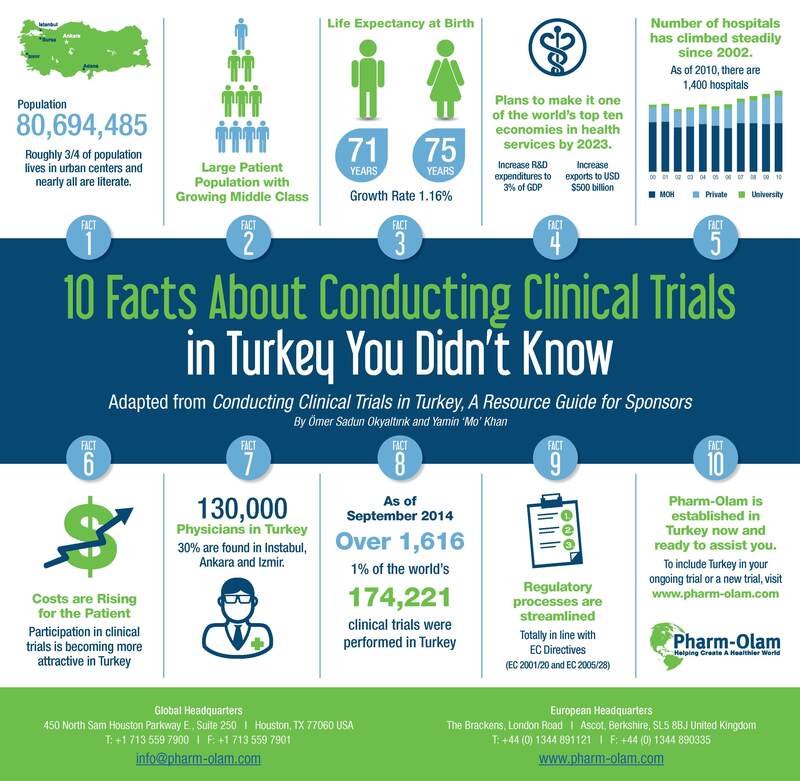 Participation in clinical trials is becoming more attractive in Turkey. Find out why you should consider this region for your study in our infographic. 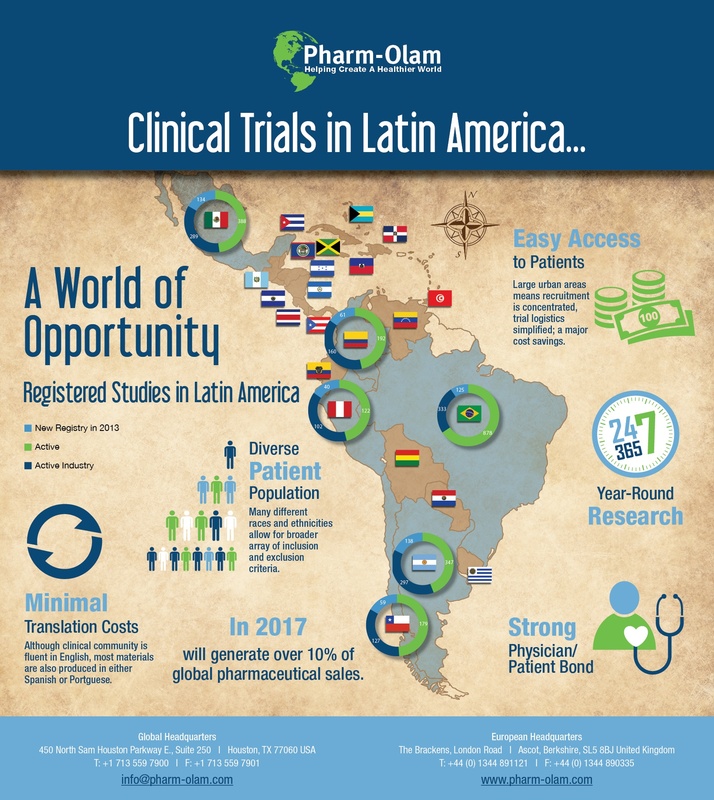 Latin America offers easy access to a diverse patient population, along with many other benefits. View our infographic to learn more about this region. 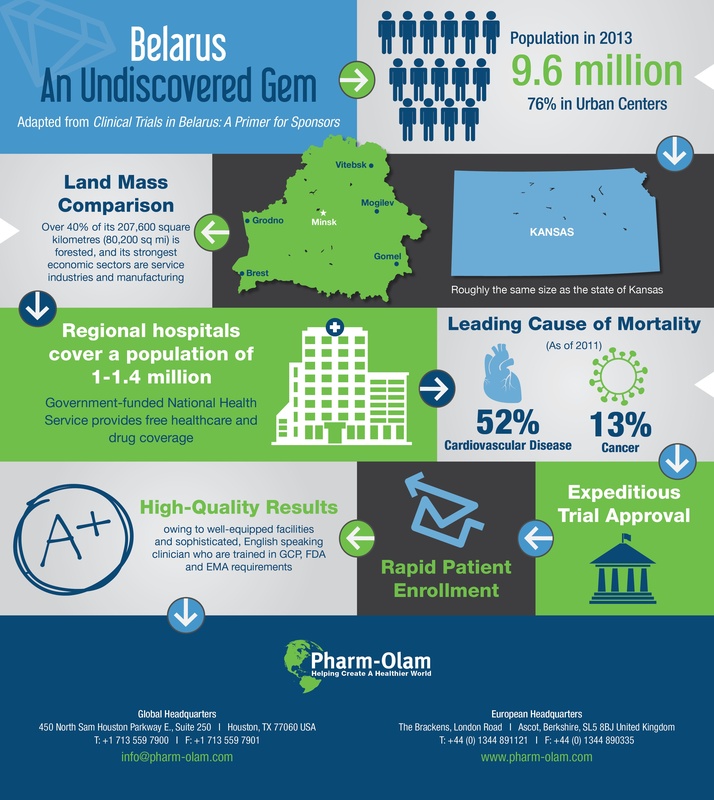 With its expeditious trial approval and rapid patient enrollment, Belarus could be an excellent site for your next study. Find out more in our infographic.